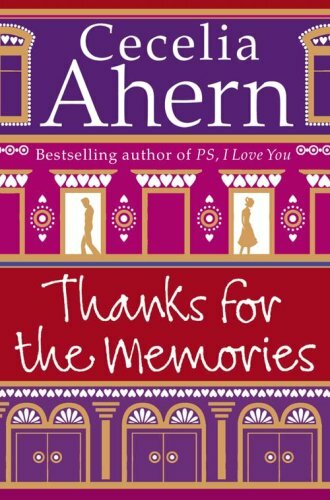 This is the first book I have read by Cecelia Ahern and I really enjoyed it. It's a very easy read, well-suited for summer holiday reading I would say. I am looking forward to reading her first novel next - PS I Love You. LindyLouMac had said she would like to read this now, so I will pass on to her later when she comes for supper. Like Melamura I have only read one other title written by this author and it was her debut novel. This is joining Mt TBR for now but hope to read soon. Thanks Melamura for passing on to me. If I had read the book cover before deciding to read this I would probably never have started it, as it does say that this author is the queen of modern fairytale, the idea of which just does not appeal to me. A strange tale of modern fantasy; which did not appeal to me very much. Although I did finish reading in the hope that it might have improved. It didn’t which was disappointing. I found the story was spun out for far too long and it therefore became rather boring. After having a blood transfusion the heroine Joyce Conway finds that she has memories and talents that she never had beforehand. It appears that she has taken these attributes from Justin Hitchcock the hero of the story, although of course it takes a long time for her to discover and prove this rather ridiculous fantasy. A RABCK for Katybean from her Wishlist. Many thanks for sending me this as a RABCK LindyLouMac - I have read a few others by Cecelia Ahern, so am looking forward to this one. Think a couple of her others have had 'far fetched' storylines too, but I seem to remember enjoying them! Will let you know what I think when I'm done! oooooooooh, I really loved this book!! Despite it's thickness, it only took me a couple of days to get through. When I thought it was getting predictable, something happened to surprise me! I know it's a very far fetched situations, but the way it was written made me think that it could happen LOL! I am going to send this to an old friend in Southport, as she is in need of some holiday reading - hope you enjoy this one!